Cardiff Life’s ‘Best Hair Salon’ 2016. 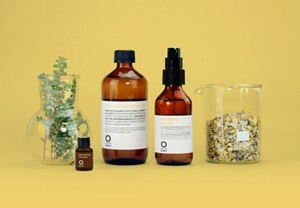 As Cardiff’s leading organic salon, we are dedicated to providing you with a totally natural experience that doesn’t compromise on quality. At our exclusive salon in the heart of Cardiff’s Pontcanna area, we have created a sanctuary from everyday life. It is our mission to ensure that you leave us looking great…and feeling even better. In our relaxing spa environment, we want you to feel restored and refreshed. Don’t just take our word for it though, have a look at what our clients say here. As well as our hair salon, you can make the most of your time by indulging in one of our beauty or spa treatments whilst you’re with us. They follow the same principle of natural indulgence, using locally-sourced, organic products wherever possible. Our Goji Gentleman’s Barbers is on the first floor and is Pontcanna’s very own man cave. Whether you want a quick trim or the full Goji experience, complete with cut-throat shave or beard trim, appointments can be booked in advance or just call in. We also offer a full range of treatments as well as hair colouring for men. We also offer swanky gift cards which make the perfect pressie; just pop in or give us a call if you need one posted out. We don’t have a typical client – we treat everyone as individuals in order to offer a bespoke service, naturally. 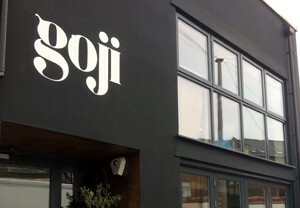 We look forward to welcoming you to Goji! ps you can check out our opening times and request an appointment here or book any appointment in the barbers or a cut & finish in the main salon by using the ‘BOOK NOW’ button above.